The worst part of this attack is presumably that it was pepetrated by French citizens. Things will never be the same in France. The calculated murder of 10 journalists and two policemen at the Paris headquarters of Charlie Hebdo on Wednesday shocked a nation struggling to contain internal social unrest. The worst part of this attack is presumably that it was pepetrated by French citizens, who claimed revenge for the Prophet on some video footage of the attack. Things can only get worse from here. As police sirens wailed across Paris, it felt as though France’s capital city had lost its trademark lightness forever. Founded in the wake of the May 1968 uprisings that saw students and intellectuals take to the streets against the ruling classes, Charlie Hebdo was one of France’s cult newspapers. It pushed humour to the limits, and pulled no punches against religious extremism, irrespective of faith. Social inequalities and the failings of the nation’s rulers were the primary targets of Stéphane Charbonnier, the newspaper’s director of publication and member of the Communist Party, who was one of the victims on Wednesday. He was reportedly targeted by the three killers, presumably for the part he played in the 2006 release of caricatures of the Prophet Muhammad first published in the Danish newspaper Jyllands-Posten. The publication triggered an outcry in the Muslim world, and drove him under protection. The first victim of Wednesday’s shooting was reportedly the policeman protecting him. These cartoons were certainly in poor taste. They emerged in a context of financial hardship for a newspaper, which might have been seeking attention, taking satire a little too far. It was fully understandable that some believers would take offence but no one quite expected the outcry to end in tragedy. This was not an attack against a few journalists or a newspaper but against freedom of speech in a country where this value has retained its original meaning. Stemming from the 1789 Declaration of Rights that survived overbearing political and social institutions to this day, and going back to prominent authors Rabelais, Molière or Jean de la Fontaine centuries ago, satire has grown into the most widespread illustration of freedom of speech in France. Television show Les Guignols (The Puppets) draws millions every evening with its outlandish take on the day’s events. Cult newspaper Le Canard Enchaîné (The Chained Duck), that shares cartoonists with Charlie Hebdo, lays into members of the ruling class every week. A distinctive feature of your average Parisian today would therefore naturally be his knack for cynicism stemming from this particular tradition of satire. This particular feature of Paris’s identity is unfortunately dying under the weight of social and religious extremism. 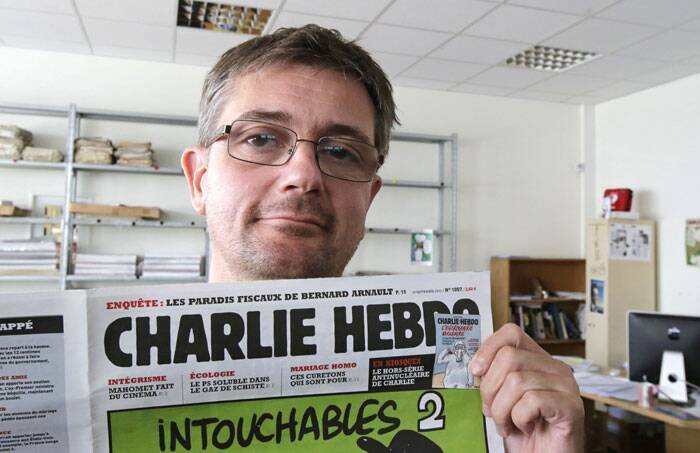 The calculated killing of Cabu, Charb, Wolinski and Tignous, as four of Charlie Hebdo’s most appreciated political cartoonists were known, is a sign that this tradition of satire and, therefore, freedom of speech, is in jeopardy in France. Or rather, that all is good and well until one takes aim at specific religious leaders. In 2011, Charlie Hebdo’s headquarters had been set on fire forcing the newpaper to temporarily move to Libération’s building. 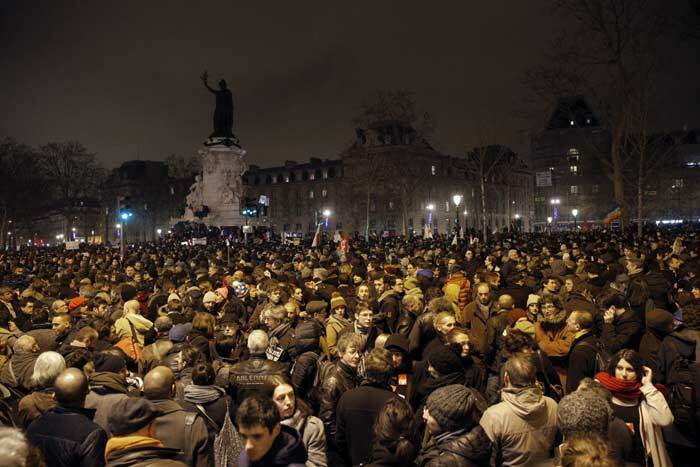 Another prominent left-wing publication, Libération was targeted in a November 2013 shooting. French newspapers are now faced with a difficult choice. They can relinquish satirical publications or risk facing similar attacks. 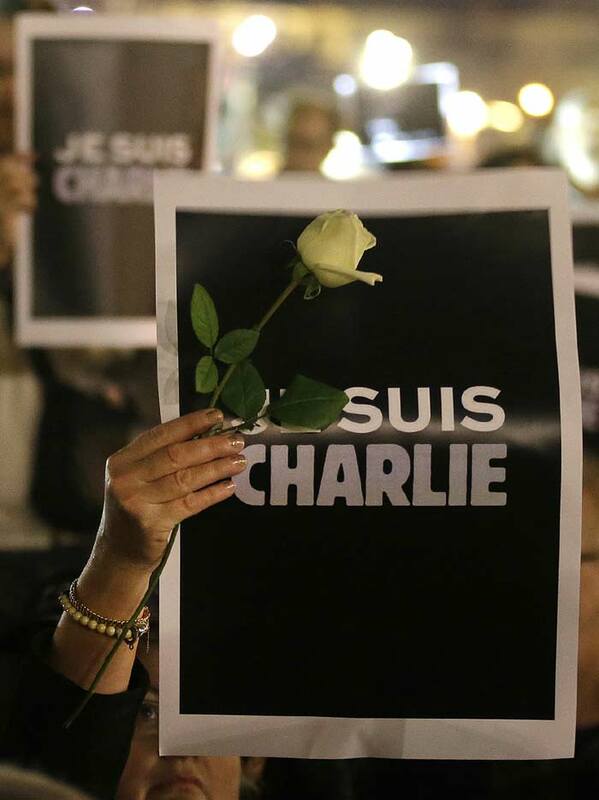 Beyond this quandary, Wednesday’s killings are an earthquake for French society. Next October will commemorate a decade since the infamous civil unrests which enflamed Paris’ suburbs after the death of two youths. Since then, little has been done to integrate those feeling isolated or outcast, particularly from the waves of immigration dating back to the 1950s, and making up a quarter of the country’s population today. There are nearly half more homeless people in the French capital city than there were three years ago. Poverty and unemployment rates are soaring and social discontent, as ever, will breed increasing religious fanaticism. The three attackers were on Wednesday night presumed to be hiding in Seine Saint-Denis, the poorest Parisian suburb and one that testifies to the death of Paris as a city of romance and innocence. In many ways, this image still lingers in the eyes of tourists, but it has disappeared from the minds of most Parisians who are familiar with the city’s inequalities, particularly in the suburbs. How the three attackers were able not just to flee the crime scene but escape from the Parisian police altogether is telling. In London or New York, they would probably have been surrounded within minutes either inside or just outside the building, and left either lifeless or handcuffed. Here, it took almost half an hour between their first murder and their flight after claiming 12 lives. Hours after the tragedy, they were still at large. The absence of a widespread closed-circuit television surveillance system or of massive police presence around the city are part of what make Paris a pleasure for pedestrians to walk around as opposed to other major European capitals such as London. They are also sadly what allowed the three murderers to freely drive along the romantic Canal Saint-Martin and outside Paris after their attack, leaving the French special operations unit RAID looking for a needle in a haystack in the northern suburbs of the city. 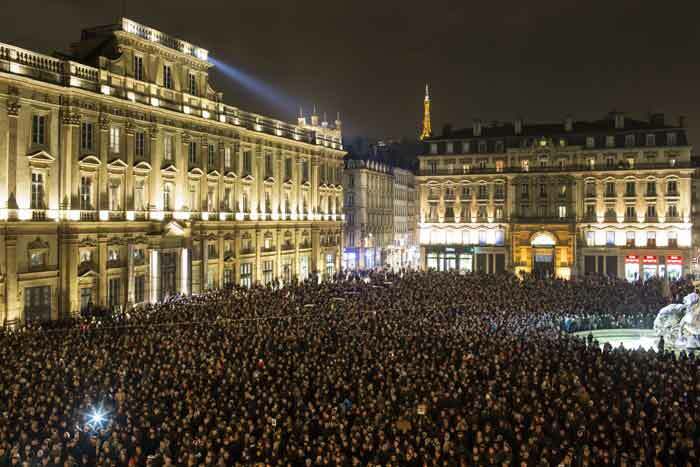 There will be calls for increased surveillance in the French capital in the wake of the tragedy. Part of what made the city special will vanish as surveillance systems are increasingly brought in, and no one can blame those asking for more protection considering the danger looming in a country whose 2,000 citizens willingly left to join the Islamic State in the Middle East last year. The government has long recognized the danger of Islamist factions inside the nation’s borders — and named Bernard Bajolet, a fluent Arab speaker who has lived in Iraq, Jordan and Algeria, as the head of the country’s intelligence agency in 2013. Wednesday’s killings were an attack on the very roots of French society. Decades of failed social policies, especially following decolonization, have led to sections of the population failing to identify with the nation’s ruling class. They look for values outside the state and create ideal potting soil for religious fanatics. Their discontent will become all the more dangerous now. This will also play right into the hands of the Front National, the country’s far-right political party, which is set to play a prominent part in the 2017 presidential elections. The French fracture will only widen if and when they step into presidential office, similar to what Michel Houellebecq, one of the country’s most famous writers, forecast in his controversial book Submission released only Tuesday. His vision of a French society under the influence of overbearing religious fanatics, with an Islamic party winning the elections in 2022, appear closer to fiction than reality. Wednesday’s events will however convince large parts of the population that the danger exists, and pit entire sections of French society against each other.